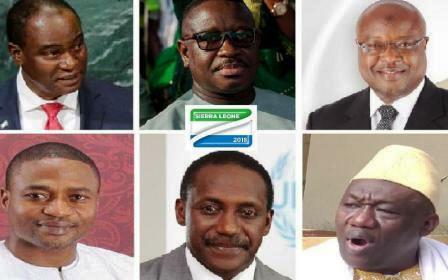 How Sierra Leonean Politicians Plan to Fix Country’s Challenges, IMANI’s Analysis and Recommendations Ahead of the March 7 Presidential Elections. Several developmental challenges have emerged in Sierra Leone following the civil war of 1991 and the Ebola crisis in 2014. In the run-up to the 2018 election, the two major political parties have both launched manifestos that highlight their plans to address the current developmental issues. This report seeks to assess the extent to which the manifesto promises of the All People’s Congress (APC) and Sierra Leone’s People’s Party (SLPP) deal with these challenges. It also identifies dissonance between the policy directions proffered by the parties and the developmental challenges of the country and offers some suggestions on the effective implementation of the promises. The analysis covers 8 sectors: Economy, Job creation, Agriculture, Governance, Education, Health, Energy and Infrastructure. Data sources for the assessment include, 2018 Manifestos of the APC and the SLPP, Budget and Economic Statements, the Agenda for Prosperity, World Bank reports, project and news reports among others. The Sierra Leonean economy appears to be on a recovery trajectory following the Ebola epidemic and the collapse of commodity prices. GDP growth rate, which decreased by 20.5% in 2015, has since increased to 6.1% in 2016 and is estimated to have grown by 6% in 2017. Though the World Bank projects a positive economic outlook in the medium-term, several developmental challenges exist. The economy is characterized by weak domestic revenue mobilisation and public financial management, high rate of youth unemployment, food insecurity, a very huge infrastructural deficit and only 13% of the urban population having access to electricity. In addition, only 13.3% of the population have access to improved sanitary conditions which may seriously impact health. The educational system also faces significant cost barriers despite the introduction of free basic education. In the run-up to the 2018 election, several promises have been made by the two major political parties to address these challenges. In some instances, both parties had a similar approach to address a particular challenge while in other cases the proposed solutions were different. Some gaps were also identified in the proposed solutions. The IMANI assessment admonishes the winning party to focus on the following: initiate steps to widen the tax net through formalization and efficient addressing systems; provide an enabling environment through a continuous and deliberate reform agenda; increase agricultural productivity and adopting a robust rural electrification strategy that exploits the renewable energy potential of Sierra Leone. To combat corruption, the winning party should comply with the Anti-Corruption Commission (ACC) Act by declaring assets and liabilities publicly. Finally, to improve on gains made in the health sector, the sanitation sector must be given adequate attention. Sierra Leone was plunged into a civil war which lasted from 1991 to 2002, resulted in the loss of lives of many citizens and set back the development of the country. Significant efforts were made to restore the country’s economy after the war. Despite challenges with issues such as high rate of youth unemployment, corruption, inadequate infrastructure among others, significant gains were made. Unfortunately, the Ebola epidemic of 2014 erased some of these developmental gains as resources had to be diverted from other sectors to help battle the crisis. The country has seen a major rebound after it was declared Ebola free in 2015. However a lot remains to be achieved. A major characteristic of multiparty democracy is the principle which demands citizens to elect a political leader through a universal adult suffrage system. So far in Sierra Leone, three democratic elections have been successfully carried out after the civil war. This demonstrates the tenacity of the country and its willingness to uphold the cause of democracy despite the numerous challenges the country faces. What is significant is the fact that manifestos which outline the promises of political parties have become a common feature of this democratic system. A means is thus provided to hold political parties accountable for pledges made to citizens thereby fostering accountability. Given the peculiar development situation of Sierra Leone, it is expedient that the manifestos outlined are able to achieve actual developmental goals for the country. A critical evaluation and assessment of the manifestos of the political parties going into the 2018 elections on March 7th is therefore needed to ensure feasibility and practicability of promises made. IMANI Center for Policy and Education for the past years has been assessing manifestos of political parties to ensure they adequately address the core challenges of the country in question and to guide civic discussion as a means of facilitating accountability. This evaluation exercise is carried out for the two major political parties in Sierra Leone; the All People’s Congress and the Sierra Leone People’s Party ahead of the elections on 7th March, 2018. The following section will discuss in detail the current state of the country across eight main sectors. The ensuing section will focus on the analysis of the key promises made by the political parties with a view to assess feasibility and identify critical areas of focus. The final section summarises the recommendations and gives the conclusion. The Sierra Leonean economy appears to be rebounding following the twin shock: the Ebola epidemic and the collapse of commodity prices. GDP growth rate which decreased by 20.5% in 2015, has since increased to 6.1% in 2016 and is estimated to have grown by 6% in 2017. Though Sierra Leone’s economic outlook remains positive in the medium term, the economy faces several challenges. Domestic revenues are able to fund only about 54% of the governments expenditure because the challenge of a narrow tax base. There is also a lot of leakages in the public purse resulting from lack of effective internal audit units and non-existent fixed asset controls. The business environment is characterized by regulatory constraints, corruption, difficulties in accessing credit, and infrastructural challenges among others. There is high youth unemployment especially among former combatants due to lack of relevant skills and relatively low literacy. It has been estimated that about 70% of Sierra Leonean youth are either underemployed or unemployed. Agriculture has remained a key component in the economic development of the country particularly in terms of job creation given that it employs 59.2% of the total self-employed in the country. Despite the substantial number of people actively involved in the sector, food security is a major concern as the country remains a Low-Income Food Deficit Country (LIFD). The country’s tourism sector appears to be on a recovery path after the country was declared Ebola-free at the end of 2015. In 2016, Sierra Leone was adjudged by the United Nations World Travel Organization as the country with the fastest-growing tourism industry in the world when the number of arrivals for 2016 grew by a mammoth 310 percent. The government of Sierra Leone has enacted the Anti-Corruption Act to investigate and prosecute corruption cases. The leadership of the Anti-Corruption Commission (ACC) has been ineffective in its duties leading to the dismissal of its director in 2005. In relation to drugs and crime, Sierra Leone was identified by the United Nations (UN) Office for Drugs and Crime as one of the major gateways in West Africa for cocaine trafficking. In 2016, the country was ranked 26th out of 54 countries in the Ibrahim Index of African Governance which indicates a fair performance. However, issues around crime and corruption still persist. Sierra Leone’s education system does not compare favourably with the education systems in Sub Sahara Africa (SSA) because of factors such as overcrowding of schools, large number of untrained teachers and the cost barrier to education. According to both the 2016 Human Development Index (HDI) and the 2015 Sierra Leonean Population census, out of the 6.5 million people aged 3 years and above, 55.4 % have attended school. Gross Enrolment Rate (GER) at primary level is above 100%, at 125.5% in 2015. Over the period 2008 to 2014, the government spent an average of 2.7% of its GDP on education, below the 5% threshold established by United Nations Educational, Scientific and Cultural Organization (UNESCO) in achieving Education for All (EFA). Sierra Leone has one of the lowest life expectancies in the world. In 2015, the life expectancy at birth is an average of 51.4 years. This is below the Sub-Sahara Africa average of 60 years. Although this is an improvement on the 40.6 years of life expectancy at birth in 2002, challenges such as lack of available health infrastructure, still remain. In 2004, there were just 0.4 hospital beds per 1,000 people, compared to 1.2 hospital beds per 1,000 in 1980. This shortage of beds became a critical obstruction during 2014, when Sierra Leone fought to control the outbreak of Ebola Virus Disease (EVD). Amidst health challenges, Sierra Leone is also making improvements in the health sector. Electricity access in Sierra Leone is very low at 13% for urban areas and 1% for rural areas. The main reasons for this poor rate of access is inadequate supply, high transmission and distribution (T&D) losses (at 40% of power supplied), as well as inadequate infrastructure to extend reach across the country. The country ranked 178th out of 190 for the “Getting Electricity” indicator of the World Bank’s 2018 Doing Business report and it scored zero out of 8 points for the reliability of supply of electricity. Concerning oil and gas, despite the proven hydrocarbon potential of Sierra Leone, there is currently no oil and gas production. This has been attributed largely to an unfavourable investment climate and corruption. There is a huge infrastructure deficit in Sierra Leone due to the effects of the civil war among others. Efforts have been made on the part of governments in partnership with development agencies to reconstruct infrastructure in Sierra Leone. Notably, upwards of 11,000km of road has been constructed, the international airport at Lungi has gone through several refurbishments over the past 10 years and a new airport is underway among others. Despite progress made in infrastructure development, there still remains a huge deficit. Critical issues that merit attention for the economy include efficient public financial management, provision of an enabling business environment, increasing agricultural productivity and increasing investment in tourism infrastructure. Focusing on these will help achieve the much-needed economic diversification and create sustainable jobs. The Sierra Leonean economy is heavily dependent on borrowing and donor support. Between 2014 and 2017, domestic revenue funded, on average, about 54% of the government’s expenditure, with the remainder catered for by donor support and borrowing. The two major political parties, APC and SLPP, made several promises on enhancing revenue mobilisation to drive their development agenda. The general observation is that, APC’s strategy to mobilise revenue is rather broad while SLPP make specific commitments on how it plans to increase revenue. The incumbent APC has an ambitious goal to increase domestic revenue annually by a minimum of 1.2% of GDP and to increase total revenue to 18% of GDP by 2023. The challenge however is the fact that most of APC’s promises (see appendix A) do not provide specific measurable strategies to address the revenue mobilisation challenges in Sierra Leone. This greatly undermines accountability and affects the swiftness with which policy reforms are carried-out. The sweeping nature of the promises also creates room for different interpretations which can be easily manipulated to suit a government’s political agenda. SLPP, on the other hand, made specific promises (see appendix A) to increase revenue by 20% in 3 years. The strategies proposed by SLPP largely align with the revenue mobilising objectives of the Agenda for Prosperity. While this is laudable, most of the strategies promised by SLPP are not new. For instance, in the 2018 budget, the incumbent government also declares their intention to implement the Treasury Single Account (TSA), ECOWAS Common External Tariff (CET) and to streamline the tax exemption provisions. SLPP however goes a step further by giving specific targets such as halving waivers and exemptions in the first two years. Meanwhile, given the key challenges, several of the critical issues of revenue mobilisation were not addressed by the two major political parties. There is a need to focus on widening the tax base by addressing the issue of a large informal sector, providing clear policies to address tax evasion and non-compliance, introducing proper addressing systems as well as automating and fully integrating the tax system. 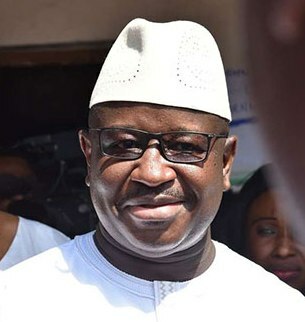 In 2015, the Audit Service of Sierra Leone (ASSL) estimated that the government lost over Le 65.4 billion ($10.2 million) which represented 28% of total revenue. The loss was as a result of expenditure mismanagement in the Ministries, Departments and Agencies (MDAs). The Auditor General also observes that, recommendations that follow audits are not given the attention they deserve, with an overall implementation rate of 28.8% between 2011 and 2015. In the run-up to the 2018 elections, the APC and SLPP made commitments regarding public expenditure management. A key strategic intervention by APC is the promotion of effective Public Financial Management (PFM). There is however little emphasis on expenditure management in its manifesto. The only clear promise relating to expenditure management is to improve accountability and transparency in the use of public resources through enhancement of the rule of law, the work of the ACC and the Auditor General’s Office. APC however does not make specific commitments on the strategies to be adopted to achieve this. SLPP, on the other hand, made ten promises (see appendix A) intended to promote an efficient public expenditure management. They include, evaluating on-going reforms and introducing reforms to strengthen public expenditure management; developing and introducing a standardized overseas travel policy for the public service covering all categories of workers including ministers; and strengthening the Audit Service Commission. To a large extent, the promises of SLPP have the capacity to address some of the expenditure management challenges raised above. However, the extent to which these promises are successfully implemented critically depends on strong political will and ownership of these reforms at all levels of government and leadership. 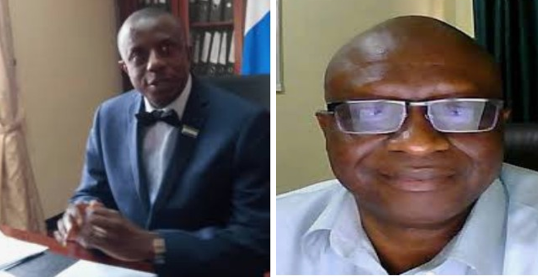 Both political parties, APC and SLPP, have recognized the importance of a strong Audit Service to promote accountability and transparency in the use of public resources. However, a strong Audit Service or expenditure tracking system is only useful if challenges uncovered and recommendations made are used to enhance accountability and promote transparency. In the medium term, there should be a focus on efficient implementation of public financial management reforms, staff capacity building and enforcement of punitive sanctioning measures. The APC and SLPP both recognize the importance of a vibrant private sector to the development of the Sierra Leonean economy. This is because it is a major driver of economic growth, employment and poverty reduction. According to 2017 World Enterprise Surveys, the business environment in Sierra Leone is characterized by regulatory constraints, corruption, difficulties in accessing credit, and infrastructural challenges among others. These challenges are elaborated in the 2018 World Bank Doing Business Index where Sierra Leone currently ranks 160 out of 190 countries. Regarding providing an enabling environment for private sector development, both parties, APC and SLPP, promise to reform the business environment, improve access to finance, and implement local content policies while building the capacity of local businesses. APC specifically wants to ensure predictability of doing business in Sierra Leone and to institutionalise community programmes for wealth creation among others. SLPP on the other hand intends to promote local entrepreneurship, build capacity of government institutions to support the private sector and develop infrastructure. The intentions of both parties are laudable and can significantly improve the business environment if implemented. There are however some concerns. In the past ten years (between 2008 and 2018), Sierra Leone has carried out 28 reforms across all ten indicators of the World Bank Doing Business Index. It has been observed that, Indicators that have had four or more reforms have generally performed better than indicators with one or two reforms. Sierra Leone has only made two and one reforms on its worst performing indicator; the ‘dealing with construction permits’ (with a current rank of 182 out of 190 countries) and the ‘getting electricity’ (with a current rank of 178 out of 190 countries). This is not enough to improve the business environment. Given that Sierra Leone is competing with other countries in the world and in Africa towards more efficient regulations, the reform agenda must be continuous, deliberate and well-targeted. It should not just be a ‘box ticking’ agenda to score political points. Recent efforts to create jobs, particularly within the agricultural sector for locals have been inhibited by lack of skilled labour within and around project sites. The mining sector on the other hand though rapidly expanding, mainly due to large-scale iron ore operations, unfortunately accounts for less than 3% of formal employment in Sierra Leone. Therefore, the most anticipated focus of the political parties contesting for this year’s election should be practical ways of improving the skill sets of the youth and innovative ways of increasing productive employment within the agricultural sector. It will also be more prudent for the political party that wins the election to deliberately focus on pursuing strategies and plans that will increase private sector-led growth and job creation. Already, the country’s 2014 labour statistics indicated that over 50% of workers in urban areas are self-employed with the majority of them involved in trade activities. Both parties plan to improve skills training and entrepreneurship specifically among the youth to create jobs (see Appendix A). For instance, while the APC promises to “introduce a National Apprenticeship Programme across the nation with an additional focus on the youth in poor and vulnerable households”, the SLPP envisions to invest in entrepreneurial skills training at tertiary education levels and business organisations. Also, to spur entrepreneurial activities in the country, the SLPP pledges to establish a Presidential Initiative on local entrepreneurship and social enterprise while the APC intends to create a Youth Investment Fund (YIF) to support innovation in entrepreneurship and technology. A general observation of the aforementioned promises demonstrates both parties understanding of the unemployment dynamics in the country. However, a more efficient manner to approach this is to precede the skills training with a rigorous skills audit across the entire country. Such a step will aid the government to have a clearer picture of the gaps and influence the right strategy for adoption in the training process to create more sustainable jobs. Also, the promise made by the SLPP to review and implement the Local Content Act to give preference to Sierra Leoneans in the award of contracts and employment will be more effective if such an audit is carried out. Generally, output within the agricultural sector is low and has not been able to correspond with local demand thereby rendering the country a net importer of its staple foods. Concurrently, food security is a major threat with about 49.8% of the population identified as food insecure. Sadly, the condition is prevalent among the very people engaged in farming as their primary source of livelihood. Therefore, it is expected that agriculture-related promises will focus on increasing productivity, pursuing value addition and increasing income levels of local farmers. In their individual manifestos, the two dominant political parties pledge to increase government investment in agriculture to at least 10% of the government expenditures in order to meet the Maputo declaration requirement. Increasing allocation to the sector is expedient, given that spending from both internal resources and donor sources on broad agriculture was approximately 4% from 2004 to 2007, reaching 9% in 2008 and 2009 and roughly 6-7% in the recent years. However, it will be more useful if the increased allocations are channelled towards increasing access to inputs, financing of irrigation schemes, providing appropriate technology and enhancing food security. Doing so will not only increase yield but will also reduce the unemployment burden. Secondly, though both parties made promises towards enhancing food production, it was observed that the SLPP had more realistic and specific promises towards this objective. For example, the party pledges to “provide duty free to local industries engaged in the fabrication of farm tools and supply for other farm inputs” as well as promote public and private partnership in tractor management. On the other hand, the APC also made important and relevant promises towards improving income levels and value addition within the sector. The desire to establish at least one agro-processing facility or a factory in every district and the intention to require government agencies to obtain agricultural products for local government initiatives such as the School Feeding program is commendable. Prior to the civil war, the country was a recognised tourism destination in the world. Unfortunately, the conflict deteriorated the country’s tourism brand and infrastructure, thereby leading to low patronage of most tourist sites. Therefore, post-conflict attempts to rekindle the tourism business have included the scrapping of taxes on tourism-related imports. This initiative incentivised the construction of numerous hotels, restaurants, motels and guest houses in the country after the end of the civil war. Unfortunately, in the course of the recovery process, the sector was hard hit by the Ebola epidemic leading to a dip in the number of International tourist arrivals from 44,000 in 2014 to 24,000 in 2015. The tourism sector has a huge potential for both job creation and the overall economy. It will be expedient for the winning party to focus on improving the tourism infrastructure and intensifying tourism marketing. The promises made so far by the SLPP and the APC is broadly in line with the challenges currently confronting the sector, hence the effective implementation of these promises may create some positive impact. For example, both the APC and the SLPP seek to adopt and promote public-private partnership for the growth of the sector. However, on issues bordering laws and regulations, while the APC desires to strengthen existing laws governing the sector, the SLPP pledges among other things to review existing laws to ensure consistency with best global practices and develop a tourism master plan to suit the reviewed laws. Also, in order to enhance capacity building of personnel employed in the sector, both parties envision to intensify education within the sector. The main issues to be looked at by the political parties under governance should include measures to deal with corruption and lawlessness in the country, given the rampant nature of these issues. Corruption is a major challenge undermining sustainable development in the country. According to the 2016 Corruption Perception Index by Transparency International, the country ranked 123 out of 127 countries indicating high prevalence of corruption. The APC promises to establish special courts in order to intensify the fight against corruption. The SLPP also promised to establish a special anti-corruption division at the High Court to investigate issues of corruption. The establishment of these parallel anti-corruption bodies could possibly undermine the mandate of the Anti-Corruption Commission (ACC) given that the ACC Act 2008 requires the ACC to investigate and prosecute cases of corruption. To enhance transparency and accountability of public officials the SLPP manifesto promised to review the ACC Act within its first 100 days in office and to include the declaration of assets by public officials. This promise is not a novelty because laws already exist such as the Anti-Corruption Act 2008 (119) which demands public officials to declare their assets within three months after assumption of office. The APC manifesto was silent about the declaration of assets and liabilities by public officials and this is quite curious given that the APC government has been accused of corruption. It will be useful for the party that aims to win the election to make corruption a thing of the past. This will be made possible by reviewing the ACC Act to strengthen its investigative and prosecutorial mandate and to ensure the enforcement of asset declaration. Rule of law is an important supplement to the democratic procedure in every democracy when issues of liberty and equal rights are at stake. According to the World Wide Governance Indicators (WGI), Sierra Leone scored 0.4% under Rule of Law over the period 2008-2014. This implies the government has been unable to solve the problem of lawlessness in the country for the past years. Issues surrounding armed robbery is alarming in Freetown, the nation’s capital and foreign investors often complain about kidnappings. The SLPP manifesto promised to improve the condition of service for security men and women given that the law enforcement agencies have limited resources. This promise does not address the issue of lawlessness. There is the need to state precisely the strategies to be adopted to address issues surrounding lawlessness. The APC manifesto promised to wage a war against lawlessness. The promise doesn’t clearly indicate the party’s plans and commitments to fight lawlessness in Sierra Leone. As such, lawlessness is likely to still persist since there are no plans to tackle them from the core. The party that wins power must focus on providing the law enforcement agencies with adequate resources to enable them to deal effectively with cases surrounding lawlessness. The critical issues that must be addressed by the political parties under education are access to quality education, teacher training and education governance. This is to facilitate the attainment of the objectives of the Education Sector Plan 2018-2020. In spite of the fact that primary school education has been free since 2004, cost still remains the major deterrent to enrolment and retention. According to the 2015 Comprehensive Food Security and Vulnerability Analysis (CFSVA), 35% of parents surveyed itemized the cost as the principal cause for the non-enrolment of their children in schools. Both APC and SLPP promise to continue current interventions such as school feeding, free inclusive education and the elimination of the shift system at the basic level. These are vital to improve the rate of entry and completion of primary school from 75.4% in 2016 to 85% in 2020. However, the SLPP plans to expand free education further to the secondary level with the estimated annual cost per child at $51 or Le 380,000. Most of the promises address the cost barrier to basic education with little said on how to solve or improve the inadequate infrastructure situation facing the sector. Sierra Leone has a commitment to attain Universal Primary Education by the year 2020. For this to be achieved, significant investment in infrastructure is needed to address the issues of overcrowding in schools and non-availability of schools in some districts. According the 2016 Annual School Census (ASC), 41% male and 28% female teachers in 2016 were either teaching without a teaching qualification or teaching with a qualification below what is required for the Junior Secondary School (JSS) level. At the Senior Secondary School (SSS) level, the situation is worse with 44% male and 53% female teachers not having the requisite qualification. Most of the problems detailed above have led to deteriorating standards in education. It is therefore not surprising that teachers feature prominently in both parties’ manifestos. The SLPP promises to establish teacher training colleges/campuses in all district capitals and to provide free tuition for teacher education among others. The ruling APC plans to continue to expand the education goals, as per the Agenda for Prosperity for all teacher development initiatives. They also intend to expand the training programme for teachers in Science, Technology, Engineering, and Mathematics (STEM) nationwide. Qualified teachers play a key role in the delivery of quality of education. The general observations are that both parties’ promises toward the enhancement of teachers’ capacity is laudable. However, the SLPP’s plan for teachers sounds too ambitious in light of their intention to expand free education to the secondary level and the high infrastructure deficit in the education sector. The education system of Sierra Leone was modified from the 6-3-3-4 breakdown in the number of years of schooling to the new 6-3-4-4 in 2012 on the basis that the average student could not compete with an average student from Ghana or Nigeria under the same 6-3-3-4 education system. Both parties identify the review of the 6-3-4-4 education system and the strengthening of the inspectorate board as key to achieving improvements in the education service delivery. The goal is to increase the rating by 10% between 2018 and 2020. Additionally, the SLPP plans to develop a robust policy and legal framework for Public-Private-Partnership (PPP) in the education sector. This is very imperative as the role of the non-state actors such the Non-Governmental Organisations (NGOs), private sector and religious organisations in education has been important overtime and should be appropriately leveraged. Public-Private partnership has proven to be an important approach for the delivery of infrastructure, funding and provision of expertise in the sector. Therefore, a PPP framework will be a step in the right direction in terms of strengthening the education sector in Sierra Leone. Given the weakening state of the health sector of Sierra Leone, the main matters that require immediate attention include maternal and infant mortality as well as the supply of trained health professionals. Further, the issues of access to improved water sources and sanitation facilities need to be looked at. One of the main focuses that the elected party should take consideration of is reducing the maternal and infant mortality rates. Maternal mortality ratio has decreased from 2,270 per 100,000 live births in 2003 to the current level of 1,360 per 100,000 live births in 2015. However, the maternal mortality ratio is still the highest ratio in the world. The infant mortality rate was 83.3 per 1,000 live births in 2016 and is also one of the highest infant mortality rates in the world. These rates exist despite the fact that 87% of pregnant women are estimated to attend at least one antenatal care session. The APC’s promise that they would intensify all interventions aimed at significantly lowering the rates is vague and lacks a sense of urgency. Many current interventions, such as the training of health workers and the provisions of medical supplies and equipment, depend on agencies other than the state, such as United Nations Children’s Fund (UNICEF) and the European Union (EU). The APC is not clear on what exact actions constitute intensification of the interventions and whether these interventions will be internally initiated and managed or will still ride on the back of the ones initiated and managed by donor/development agencies. The SLPP promised to review policies and scale up interventions, as well as launch a flagship programme for sexual and reproductive health to reduce teenage pregnancy. Given that 40% of maternal deaths are estimated to be due from teenage pregnancies, some type of intervention is needed to reduce teenage pregnancy and generally spread health information for those who are pregnant. However, the effectiveness of any programme depends on how it is implemented. It will be useful for implementation plans to be developed and followed in order to achieve reduction in maternal mortality. While continuing and escalating current interventions aimed at reducing maternal and child mortality rates is not a dissatisfactory plan, more is needed. There needs to be a concrete plan to not only train more health professionals on maternal and child health, but also deploy them in rural communities and disseminate information to all on the importance of having regular health check-ups when pregnant or in the early stages of infant life. The promises made regarding healthcare professionals are highly important to the success of the nation’s health sector. A total of 221 health care professionals died as a result of Ebola, in a country which already suffered from a shortage of doctors and medical professionals. In 2015, there were only 136 doctors providing services to the population of 6 million, resulting in a doctor-to-population ratio of 0.2 per 1,000 people. The lack of healthcare professionals is more acute in rural areas. The APC intends to improve human resource capacity in the health sector through local and international training opportunities and to expand postgraduate training. The emphasis on training opportunities for health professionals is admirable, as the World Health Organization (WHO) has pinpointed lack of training as a problem in the health sector. However, the effects of this promise would not be immediate as training could take many years, and it would take even longer for the full effects of the training to experienced. The SLPP’s promises involve developing incentives to absorb and retain trained doctors in the public service via a comprehensive Human Development Plan and to develop an incentive scheme for health workers in remote areas. What would be critical is for the cost of salaries for the absorption of the trained professionals to be factored into the plan to assess its feasibility. While the APC focuses on training opportunities for existing health professionals, the SLPP prioritizes increasing the number of professionals around the country. This indicates that, the political party that wins power will address only a part of the problem. There will therefore be the need to harmonize both initiatives in implementation to ensure the problem of supply of trained health professionals is fully addressed. One of the main focuses of the elected party, to not compound issues related to health, should be on increasing access to improved sanitation facilities given that only 13.3% of the population have access to such facilities. This rate of access is well below the target of 65% set during the tenure of the Millennium Development Goals (MDGs). The spatial disparity between rural and urban areas makes things worse. Only 6.9% of the rural population have access to improved sanitation facilities compared to 22.8% of the urban population. The APC made just two promises related to sanitation. These involved establishing, maintaining and introducing sanitation programmes nationwide and incentivising the private sector to invest (see Appendix A). These promises are vague and don’t state clearly how spatial differences in access will be addressed or what precise methods will increase access in the country. Contrarily, the SLPP outlined a number of promises that address sanitation at the national, urban, and rural levels. These included introducing recycling and incinerator facilities, re-establishing sanitary inspectors in local councils, enforcing the change from pit latrines to Pour Flush or Full Flush in cities, as well as developing the capacity of communities to construct latrines in rural areas. The detail and thoroughness of the promises indicate the willingness of the party to approach the problem of sanitation with seriousness. The winning party should focus on the reasons for spatial differences in access to sanitation and work to resolve them thereby increasing sanitation nationwide. Despite improvements in the percentage of the population that have access to improved water sources, universal access remains an issue. Currently, 62.6% of the population have access to improved water sources. This falls short of the 73% target set during the tenure of the MDGs. Similar to the sanitation sector, due to spatial disparities only 47.8% (almost half of urban access) have access in the rural population. The APC’s promises for the water sector cover the national, urban and rural sectors. They seek to increase national access to safe water to over 90% and give details on how this will be accomplished. These include significantly increasing the number of boreholes powered by solar technology, rehabilitating water sources in Freetown to increase access for 600,000 citizens and introducing decentralised water supply schemes in communities. While having clear plans to develop the water sector is promising, there was no mention of how these programmes would be funded. The SLPP, similarly, had a range of promises relating to the national, urban, and rural coverage of access to water sources. These included separating water generation from water distribution and supply responsibilities, improving the coordination of international agencies and NGOs involved in water provision, introducing flow meters in urban towns to reduce wastage, and developing the capacity of local councils and communities to maintain water supply issues in provincial areas. The SLPP plan for the sector, like the APC plan, while clear, also does not address the issue of financing. Given the 2018 government’s budget allocation for the sector, which was 0.075% of the national budget the elected government should ensure that the plans outlined for the Water sector are attainable within budget. Growth in access to electricity has been slow over the years and Sierra Leone has been unable to attract needed investment into its oil and gas sector. In light of these, the critical issues that require urgent attention include innovative means to increasing access to electricity, improving generation capacity and attracting investments into the oil and gas sector. Over the past six years, access to electricity has increased at a slow pace ranging from 9% in 2011 to 13% in 2017 with rural access remaining at the lowest levels. The APC’s promise to increase national energy access by 50% in 3 years sounds overly ambitious. This is because the main means through which it aims to do this is creating an enabling environment for private sector investment in generation and distribution. This usually takes more than three years to materialize. The SLPP also states that each year, at least five villages and two towns will be added to the grid. Given the spatial distribution of Sierra Leone, some rural areas are largely inaccessible via grid especially towards the north. Therefore, rural electrification through grid expansion may be prohibitively expensive and may not improve electricity access in the short to medium term. A more useful and rapid approach would be to increase electricity access through rural electrification schemes that leverage the renewable energy potential of Sierra Leone. It is noted that both parties have mentioned the deployment of mini-grids based on renewable energy to help improve access. However, there is the general lack of an overall robust strategy (the “how”) for attaining these rural electrification goals that ties into the long-term energy policy of the country. There is the need to draft up a comprehensive rural electrification plan including a clear funding strategy; set up an oversight agency that will be responsible for implementation as well as monitoring and evaluation; and then prioritize implementation within the first term. While working to improve access to electricity through rural electrification, it will be prudent to concurrently work to improve generation, transmission and distribution. This should include beefing up generation capacity and eliminating inefficiencies in transmission and distribution. The APC proposes to increase thermal generation to provide for industrial and mining growth. This is laudable if industries and mining companies will be in charge of sourcing and financing fuel for their thermal power generation. Otherwise, the government will have to carry the additional burden of sourcing usually expensive fuel and supplying to the industrial and mining sectors. Given that Sierra Leone imports 100% of petroleum products consumed, it must be mindful of the effects of increased fuel use in power generation on balance of payment and other macroeconomic indicators. Cheaper fuels must be sourced for thermal generation and sources should be diversified to ensure security of supply. It will also be useful to focus on developing renewable energy sources in the drive to beef up capacity. Increase in generation capacity must also coincide with efficient transmission and distribution (T&D) where losses are reduced to the barest minimum and T&D infrastructure must necessarily be upgraded. Otherwise, gains made in energy supply may not trickle down to end users thereby undermining efforts at improving the electricity access situation. While the APC manifesto is silent on oil and gas activities, the SLPP manifesto addresses several issues. Despite the high potential for hydrocarbon production, all international companies apart from African Petroleum relinquished their blocks and exited Sierra Leone after 2013. According to the SLPP, one of the main reasons for the mass exit of all the oil companies was a speculative petroleum fiscal regime. This regime did not provide a competitive and efficient business environment which promised fair and equitable return on investment. As a remedy, the party proposes to provide lucrative fiscal incentives for foreign oil and gas companies as well as expedite the investment approval process. While the impetus to attract foreign investment is understood, there is the need to ensure that national interest is not undermined. Lessons can be learnt from Ghana’s experience. In a haste to benefit from its petroleum resources, Ghana signed contracts and fast tracked initial oil production without a national policy on oil and gas development or the petroleum revenue management law in place. Later on, in the face of the oil price slump, unbridled stabilisation clauses in the initial petroleum agreements precluded holders from terms in the new Exploration and Production Law. This did not augur well for the country. It will be useful during this period as Sierra Leone looks forward to the commencement of oil production for the elected government to put in place the important measures including an oil and gas development plan, a petroleum revenue management law, a pragmatic local content implementation strategy and review and amendment of the current Petroleum (Exploration and Production) Law to limit corruption. Given that significant investments have been made in infrastructure, the slow rate of return in terms of infrastructure growth is of great concern. A cursory overview reveals that, the factors that have accounted for this stalled growth include: sector inefficiencies that lead to revenue losses and create financing gaps; poor targeting/prioritization of infrastructure investments and a poor maintenance culture. The manifestos of both parties give generic pledges regarding infrastructure. The incumbent APC’s aim is to carry on with projects already commenced during its tenure, increase investments in the sector, expand transportation infrastructure among others. The SLPP also hopes to develop new roads and improve existing ones, particularly, to link farming communities and to promote trade integration. While these intentions and pledges are essential, there is the need to go a step further in order to critically address the problems of huge investments not yielding commensurate growth in infrastructure. Pushak and Foster (2011) studying infrastructure growth in Sierra Leone note that, out of the US$134 million spent on infrastructure annually, Sierra Leone loses almost 50%, about US$66 million, to inefficiencies. For example, transmission and distribution losses in the power sector and under recovery of costs in the transportation and water sectors. An African Minister’s Council on Water (AMCOW) country review on the status of water supply and sanitation in Sierra Leone (2015) revealed that, water distributed is not paid for in many areas because of an unwillingness to charge as well as the refusal of communities to pay for water use. When this happens, subsidization of operations expenditure for the public utility from the public purse reduces the amount available for investing in capital. The report further revealed that, in light of the above, the financing gap for water supply infrastructure is US$90 million per year. High distribution losses in electricity are noted to have resulted in high electricity tariffs in Sierra Leone. The tariffs however still do not reflect the true cost of generation. The persistence of this cycle of inefficiency has inhibited the ability to pool government resources for further investment in grid expansion. As Pushak and Foster (2011) note, reduction in electricity distribution losses could save Sierra Leone US$16 million in power annually. This amount could go a long way to augment government contribution towards infrastructure development in the power sector. Conteh (2016), in discussing the credibility of the government of Sierra Leone’s budget noted under variations in budget execution that, inadequate feasibility studies and the subsequent lack of realistic costing resulted in huge cost overruns for capital projects such as roads. It is interesting to note that Pushak and Foster in their 2011 study had flagged poor budget execution of governmental funds for roads as one main source of inefficiency that stalled delivery of road infrastructure. They noted that US$6 million of additional financing could be raised for the roads sector if budget execution was improved. Given the foregoing, the main focus of the political parties, if they truly seek to realize growth in infrastructure, should be to progressively reduce the inefficiencies that cause a dissociation between the rate of investment in infrastructure and the resultant rate of growth in infrastructure. There is the need for the winning political party to muster political will to design and implement policies and strategies that will facilitate the elimination of the inefficiencies. Achieving greater compliance to tax must be a priority of any Sierra Leonean government if it is to intensify revenue mobilisation to support the recovery process. The winning party must consider analysing the compliance gap, segmenting it in order to adopt appropriate instruments to drive the compliance of the various segments and continuous monitoring and evaluation of measures adopted. The winning party must also consider implementing sustainable revenue mobilisation measures. The incoming government must initiate steps to widen the tax net through formalisation and also to enhance revenue administration through efficient addressing systems. The wining party must commit to use audit reports to promote accountability and transparency in public expenditure management. The utilisation rate of 28.8% must be greatly improved. Punitive sanctions must also be put in place and strictly enforced to serve as a deterrent and to ensure sustainability in the efforts to promote accountability. To enhance private sector development, reforms to the business environment needs to be continuous, deliberate and well-targeted. Reforms should not just be a ‘box ticking’ agenda to score political points. There is the need to channel the increase budgetary allocations towards increasing agricultural productivity. Specifically, access to farm inputs, irrigation and approapraite technology to reduce the incidence food insecurity. To spur the much need returns and patronage within the tourism sector, there is the need to increase investment to expand and improve basic infrastructure to the various tourist sites. Such Investment is critical in the area of road construction, telecommunication and electricity. The winning party can strengthen the ineffective institutions and eliminate the corrupt officials who will be caught engaging in any illegal or unlawful act. The winning party should comply with the ACC Act and declare assets and liabilities publicly. The problem of lawlessness in Sierra Leone must be a priority to the winning party since it demands urgent attention by the law enforcement agencies. The government can implement its flagship projects through the existing MDAs. The government can also use its monitoring and evaluation departments to assess the success of the government’s flagship projects. The monitoring and evaluation departments can be tasked to submit quarterly reports on the performance of the government’s flagship programmes. It will be essential for the government to decentralise its projects through the local councils to ensure that its flagship programs benefit every citizen. The government can improve upon the capacity of the local council by providing them with the required training and logistics to work effectively. The government of Sierra Leone needs to focus on the independence of the judiciary and ensure that corruption associated with the judiciary is been dealt with. The judiciary must also be provided with the necessary logistics, magistrates and judges should be incentivised well to ensure that they do not engage in corrupt activities. A stable judiciary creates a condition necessary for national unity and state security. In addition to that, the Right to Information Act should be passed by the government. The Right to Information is a very essential tool to improve the functioning of government because it ensures that every citizen gets access to information to help curb corruption. There is the need for an overall robust rural electrification strategy based on exploiting the renewable energy potential of Sierra Leone. The strategy should tie into the long-term development goals of the country and should include a clear funding strategy, provisions for the setting up of an overseeing rural electrification agency and for consistent monitoring and evaluation. Implementation of the strategy should be prioritized in the first term of office. There is the need to ensure that increase in generation capacity necessarily coincides with improved efficiency in transmission and distribution or else gains made in improving energy supply may not trickle down to end users. In order to ensure the balance between national interests and investor interests in the oil and gas sector, it will be prudent to develop a long-term oil and gas development plan, a comprehensive revenue management law and regulations, a pragmatic local content implementation strategy and measures to address corruption in the sector such as open contracting. There is the need for the political party looking to transform infrastructure to muster the political will to design and implement policies and strategies that will facilitate the elimination of inefficiencies in the infrastructure sector and also ensure appropriate prioritization of infrastructure investment as well as improve maintenance. It is imperative for the party that wins the election on March 7th to continue with the increased investment in education to address the challenges and the lost time in education delivery. More importantly spend at least the 5% threshold required for the achievement of the EFA with emphasis on infrastructure delivery. Secondly, the Sustainable Development Goal 17 (SDG 17), which talks about partnerships. Engagement with various stakeholders on the capacity building, finance, technology, programmes and policies in education will help provide innovative ways of addressing the educational challenges. Partnerships with NGOs and the private sector should be encouraged in order to develop the health of the nation. To further improve on gains made in the health sector, the sanitation sector must not be neglected, as poor sanitation can easily lead to the spread of diseases. While access to water has been steadily improving over the years, a key area to focus on should be access to water in rural areas, to ensure that there is not inequality. This manifesto analysis was carried out to examine the promises of the main political parties in Sierra Leone ahead of the March 2018 election with a view to assess the feasibility and practicality of the commitments made thereof. In general, the All People’s Congress as well as the Sierra Leone’s Peoples party have demonstrated understanding of the critical challenges facing the country and have provided policy directions as to how they will deal with these challenges. Assessment of the promises made across the critical sectors revealed that for the economy while the promises have the potential to deliver tangible results, attention must be given specifically to improving revenue mobilization and ensuring strict compliance with expenditure management provisions. Concerning governance, the promises made were considered generic however, the focus on the independence of the media as well as judicial independence is promising if implementation will be committedly pursued. For the health sector, the promises made by the political parties were noted to be comprehensive considering the health challenges in the country. However, the true test of the efficacy of the promises would be in the implementation. Specific attention needs to be paid to increasing the number of health professionals in the country in order to achieve the nation’s health sector goals. The main challenges in education which have to do with cost and availability were adequately captured in the promises made by both political parties. Critical attention needs to be paid to the delivery of necessary education infrastructure. Concerning energy, the promises adequately captured the need to work towards progressive increase in access to electricity as well as the need to boost electricity generation. However, much focus should be placed on leveraging the renewable energy potential of the country to meet electricity access needs across the country. The infrastructure needs of Sierra Leone 16 years after the civil war are still huge. Investment has been pumped into infrastructure over the years however growth in infrastructure has not been commensurate. It will be critical to prioritise the elimination of inefficiencies that hamper the translation of investment to growth in infrastructure. This report has not been financed by any donor. It is IMANI Africa’s contribution to deepening democracy in Africa and we intend to conduct similar assessments for elections on the continent. Last year, we conducted same for the Liberian elections and courted audiences in that country through its media. Liberia’s influential ‘Frontpage Africa’ newspaper published it @ http://frontpageafricaonline.com/index.php/news/5738-imani-center-for-policy-report-liberia-in-need-of-smart-policies and was syndicated across Africa by the AllAfrica.com news @ http://allafrica.com/stories/201710100518.html . Visit www.imaniafrica.org to read more on the Ghana analysis. If you would like to support IMANI’s work, please send me an email to fcudjoe@imanighana.org. 2. Utilizing technology-based tools to manage public finances. 3. Revenue is expected to increase to 18% of GDP by the end of the first term, while ensuring that domestic revenue increases by a minimum of 1.2 percent of GDP each. 4. Expanded tax compliance, strong revenue and expenditure policies to consolidate public finances 1. Improve tax collection with a commitment to increase revenue mobilization by 20% in 3 years. 3. All holders of elective office and political appointees including the President and Vice President will pay tax on their earnings to ensure fairness in the tax system. This is expected to generate at least Le15.0 billion per year. Public Expenditure Management 1. Increase government development spending from US$274 million to at least US$1.5 billion. 2. Improving accountability and transparency in the use of public resources through enhancement of the rule of law, the work of the Anti-Corruption Commission and the Auditor General’s Office 1. Control the wage bill by introducing fairness and equity and cleaning up the wage bill or register. 2. Will tackle leakages and expenditure overruns in the procurement of goods and services. 3. Reduce travelling cost by limiting overseas travels to minimum value for money standards. 4. Evaluate the on-going reforms and introduce reforms to strengthen public expenditure management. 2. Strengthen patronage of made in Sierra Leone goods. 3. Enforcement and implementation of local content provisions while building local capacities. 5. Build the capacity of government institutions to support private sector. 6. Develop infrastructure with focus on prioritizing road infrastructure according to economic relevance, improve electricity and establish industrial zones. 5. Establish Advisory service centres for the marginalised to link them to jobs, training and entrepreneurship opportunities. 4. Develop the capacity of business organisations to provide relevant market information. 3. Establish at least one agro-processing facility or a factory in every district. 4. Require government agencies to procure agricultural products locally for initiatives. 6. Harness our fisheries wealth by support local artisanal fishermen, promote commercial fish farming in the provinces and control illegal and unregulated fishing 1. Increase budgetary allocation to the agriculture sector to 10% in line with the Maputo Accord. 5. Linking appropriate farm enterprises and the Agricultural Business Centres with seed companies for the production and distribution of certified seeds. 6. Develop and implement mechanized commercial farming to transform the traditional subsistence agricultural sector. 2. Develop the capacity of School Inspectorate for effective school monitoring and supervision. 3. improving conditions of service . Infrastructure Completing all ongoing road projects Implement a holistic and integrated infrastructure and sectoral development plan. Calculated from actual revenues and expenditures from Sierra Leonean Budget from 2014 to 2017. SLPP promises to make education from basic school to senior secondary schools free. Agenda for Prosperity (2013-2018) is a medium-term plan of the Sierra Leonean government, with the objective of laying the foundation towards achieving middle income status by 2035.